Two more great sketches! I decided on Sketch B. The number paper is from EP. The rest was laying around on my table waiting to be used. Sentiment is by Inkadinkado. Wow, such a striking card! Love the yellow with the black and red. 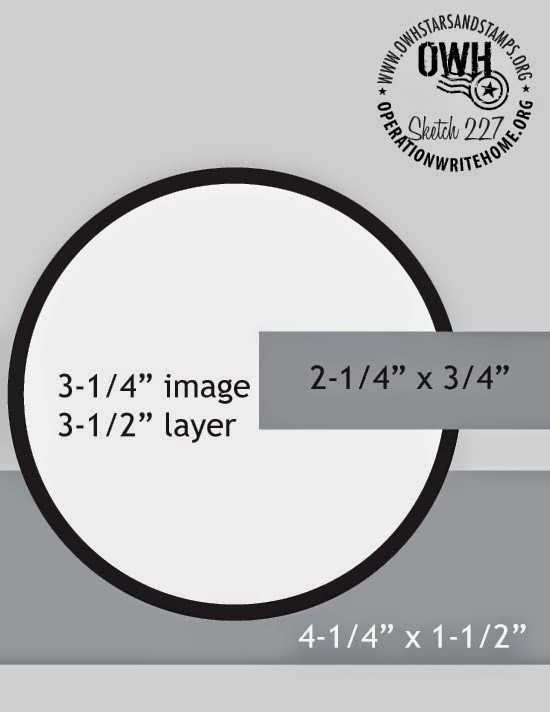 Great way to use the large number print dp, the simple circle shows off the paper! TFS! So love the red, black and yellow, very sharp. Great way to use those big number papers. Love it TFS! The embossed background looks great on this card, and I love all the birthday numbers within the circle! Great take on the sketch! Great color combo - the subtle embossing is nice contrast to the bold numbers! Great take on the sketch, love your colors. Thanks for joining us at Great Impressions. What a fun, bright card you pulled together from scraps on your desk ! Wonderfully colorful! Love that numbered paper for the element with the Happy Birthday sentiment!